Addiction health professionals and patients alike have been pleasantly surprised by recent news that there may be a new drug that effectively helps alcoholics and heavy drinkers quit drinking with little or no severe side effects. The drug, gabapentin, which is currently sold under the brand name Neurontin, has long been on the market for use in epilepsy patients, but recent studies suggest that it may be a very useful tool in combating alcohol dependency. Researchers tested their theory that gabapentin may help curb tendencies to relapse or continue drinking heavily by conducting a double blind study of 150 men and women. The fact that the experiment was double blind meant that neither researchers nor participants knew which patients were taking gabapentin and which were taking a placebo. By recording the results of the study in a double blind manner, researchers were able to reduce the likelihood of bias from either their ends or the subjects’. When the study was unblinded, researchers found that the higher the dose of gabapentin a patient had received, the more likely it was that they had curbed or entirely stopped drinking. 45% of subjects in the high dose group stopped drinking, nearly double the amount of patients in the low dose group, of which 23% stopped drinking. 17% of patients in the high dose group stopped drinking completely, compared with only 4% of placebo patients. It seems that gabapentin may be effective in helping curb tendencies towards drinking in individuals who are trying to quit because it produces a soothing, calming effect on the brain. Most people who are chemically dependent on alcohol experience negative effects like depression and anxiety when they stop drinking. This is because as a person becomes addicted to a substance, their brain becomes wired so that it is singularly focused on procuring more alcohol. When the brain realizes that it is not receiving more alcohol, it fires off signals that cause anxiety and general unease. These symptoms can be so severe that even a person who very much wants to stop drinking may return to using in order to stop the painful feeling of anxiety. When a drug like gabapentin helps minimize anxious feelings, a person will likely experience a much higher level of success as they attempt to abstain from alcohol use. 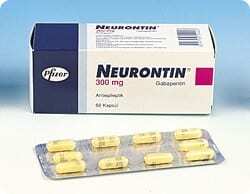 To date, Neurontin is still marketed for use in epileptic patients only. Doctors may choose to recommend the drug for patients struggling with addiction, but it is currently only prescribed at their discretion based on their professional opinion. While the drug’s use as an aid in addiction recovery may be a fairly recent development, many physicians are familiar with it and may have a good idea of how patients will respond to it based on their experience using it in epileptic patients. generally seem to cause severe side effects. Some users report feelings of drowsiness or fatigue, but this may actually serve to help recovering addicts resist the urge to relapse, since many newly sober alcoholics experience insomnia. Studies suggest that the drug may also help those who are recovering from marijuana addiction, who also commonly experience sleeplessness. Insomnia can increase feelings of depression and anxiety, which can trigger use, so gabapentin’s side effects may actually be yet another advantage of the drug. Tools like gabapentin, along with an effective treatment program can give many alcoholics hope where they once only saw despair.